The Master Lock No. 1LJ Laminated Steel Padlock features a 1-3/4in (44mm) reinforced laminated steel lock body providing extra strength and a 2-1/2in (64mm) tall, 5/16in (8mm) diameter hardened steel shackle for excellent cut resistance. Dual locking levers provide extra pry resistance making it ideal for industrial applications. 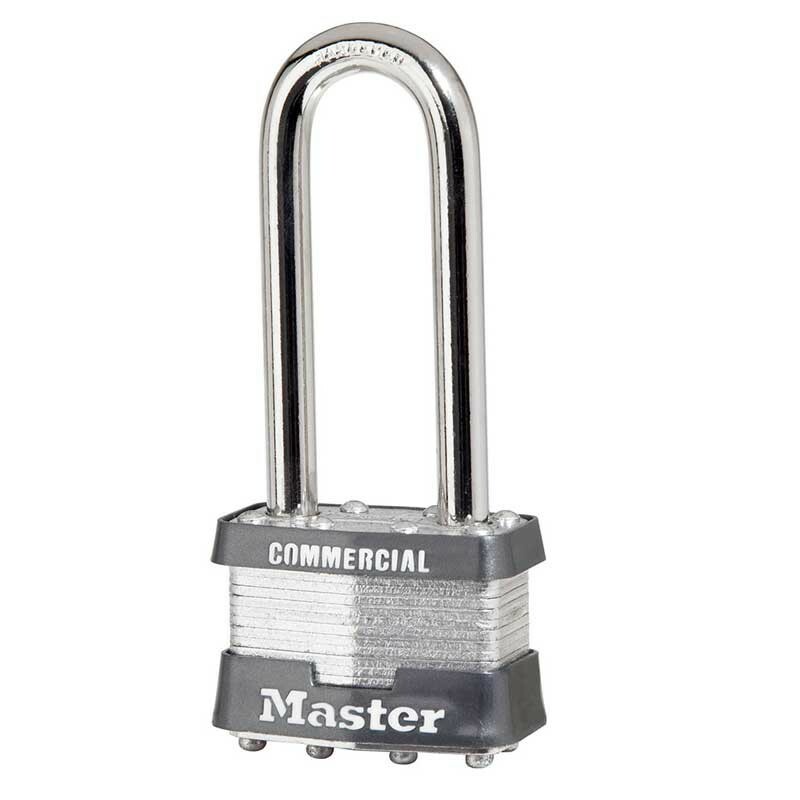 Commercial grade padlock features superior protection from drilling and prying. 44mmin (44mm) wide laminated steel body for superior strength. 2-1/2in (64mm) tall, 5/16in (8mm) diameter hardened steel shackle for superior cut resistance. Dual locking levers provide extra pry resistance. Non-rekeyable, 4-pin W1 cylinder helps prevent picking.